This is one fundraiser we can really get behind! These candles are 100% soy wax made in the USA and are specifically designed to neutralize pet odor. Order through our special link to participate in the fundraiser. Fundraiser ends on December 14th, so let's get those orders in! We are thrilled to announce we will be celebrating the holidays this year with another partnered event with Manatee County Animal Services, our local animal shelter! We'll be leaving our own dogs behind in order to find homes for as many county dogs as possible, but we'll still have our booth set up with lots of FMN goodies and information for new pet owners. If you come out to adopt a new cat or dog, be sure to stop by our booth for a big congratulations and a photo! The adorable dog photos for this flyer were taken by Stacy White Photography and those pups are all waiting at MCAS looking forward to this event! "Continuing the award-winning collaboration recognized by the [Sarasota] Community Foundation, MCAS is partnering again with Forget-Me-Not Animal Rescue for these special weekends. Forget-Me-Not will be promoting their “Unforgett-A-Bull” Campaign, which brings awareness and education about Bully Breeds, which comprise a large portion of the MCAS shelter population." We're so proud of our team of volunteers and we are so grateful to the community for all of the support we received during the Giving Challenge and to the sponsors who provided matching opportunities for our donors and supported additional grant opportunities. We can't wait for next year! For our business partnership, we were proud to join Sarah Brown and all of the staff at Manatee County Animal Services in the effort to find our county shelter animals homes and free up some precious kennel space. We're excited to extend this partnership beyond the Giving Challenge by continuing to do events together and promote our #UnforgettaBULL campaign that brings awareness to bully breeds and other shelter dogs that often slip through the cracks in a shelter system. Bobby lucked out and found a home for the holidays! Or should we say, they found him? Once they saw his video online, they were pretty much in love. We just adore this family and there are a lot of good feels going around. Thank you to everyone who chooses to bring a rescue dog into your life. We've been preparing all year for today. If you follow our Facebook page, you've probably already seen a ton of this, but we have cute Thumper photos down below for you, so hang in there! Thanks to the generosity of sponsors, donations made between noon today (Tuesday, Sep. 20) and noon tomorrow will be matched. If you donated to our rescue last year through the Giving Challenge, your donation of $25-$100 will be doubled. If this is your first time, your donation will be tripled. This is an amazing opportunity for our dogs! Last year, we were able to use the Giving Challenge funds to move our dogs to a new location, build all new kennels, and double the kennel space for some of our larger dogs. This is a pretty huge deal for us. $25 goes a long way out here at the kennels, but it goes quickly. The fact that our donors are able to triple their generous donations is almost unbelievable to us, and we hope you're just as excited about it as we are. We share a common goal with Manatee County Animal Services: We want to see these dogs get great homes. We were thrilled when MCAS director Sarah Brown agreed to partner with us for the Best Business Partner challenge this year. Immediately, we began to plan an adoption event for the dogs at the county shelter. We decided to call it "Clear the Shelter" because that was the ultimate dream. Sarah Brown believes being a No-Kill county shelter is achievable, and of course we will do whatever we can to help her in that mission. The kennels were overflowing with dogs, and still are, but by working together with Animal Services to promote this event and bring our event to life, we were able to help the county shelter adopt out 25 cats and 27 dogs in two days. While our primary goal was adoptions and clearing kennels at the county shelter, we also set out to educate people on the dog overpopulation crisis in our area and how easy it is for great dogs to slip through the cracks and become forgotten in a crowded shelter. That is the whole idea behind our UnforgettaBULL campaign. So many people were astonished by the number of pit bull-type dogs filling up the kennels, and some of those people ended up going home with one of those blocky-headed friends. We couldn't have asked for a better outcome. Also, we sold some awesome t-shirts to benefit our rescue dogs! If you want some fashion tips, you can start by shopping at our RedBubble store. We will also be selling t-shirts today, so keep up with our whereabouts on Facebook if you want to stop by and grab some UnforgettaBULL wear. Profits from merchandise purches go straight to our dogs! We couldn't leave him behind. During our Clear the Shelter eventwith Manatee County Animal Services, our president Debbie fell in love with a charming little dog named Thumper. Honestly, we all fell in love with him. I'm pretty sure it's not humanly possible to meet this dog and not love him. Twenty-seven dogs were adopted that weekend, but people just kept passing by Thumper's kennel. It could be that he was saving all of his charm for us Forget-Me-Not volunteers, but it was probably the deformity of his front left paw that was turning people away. His deformity might be a little hard to look past for some... But he's just our type! According to his vet records from Dr. Ashley Kanzler of Desoto Animal Clinic, the deformity is likely from an old fracture that never healed properly. This gives us hope that we'll be able to get Thumper corrective surgery for his leg and he'll soon be in ship shape! We scooped the little guy up at the end of the Clear the Shelter event on Saturday and we all giggled as we gave him kisses and loaded him into the van. Thumper is less than a year old, and soon enough we'll find him a new home to enjoy the rest of his long, healthy life in. The freedom ride was glorious, and it was a beautiful end to a beautiful day. We are not only a rescue, but a sanctuary. Where will we pop up next? Thank you to the generous sponsors of the Giving Challenge. 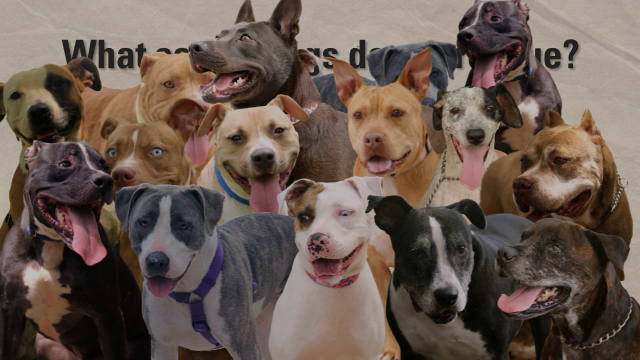 You're helping people save dogs. Copyright © 2016 Forget-Me-Not, Inc., All rights reserved. You're receiving this email because you are on the mailing list for Forget-Me-Not, Inc., a No-Kill Animal Rescue in Manatee County. We're here to save dogs. Are you in? We save local dogs from death row. We try our best to save as many as we can. We work with what we have but of course we're limited by space, able bodies, and by funding. But honestly, our community does a pretty great job of keeping us running smoothly, and for that we can't thank you enough! We are based in the Manatee-Sarasota area. Most of our dogs come straight fromManatee County Animal Services and the farthest out we go to rescue dogs is an occasional trip to Highlands County, also known as Sebring. That means your donation and your hard work stays in this community. We believe euthanasia is meant only for the terminally ill dogs that have no comfort left in life, and we are proud to be a No-Kill rescue. We love these dogs. They're our dogs until they're adopted, and we treat each one of them as loved family pets -- because that's what they are. Online, on September 20th & 21st our incredible supporters have the opportunity to have their donations matched (doubled if you donated through the Giving Challenge last year, tripled if this is your first time participating with us in the Giving Challenge.) This is thanks to the generous sponsors of the Giving Challenge listed below, and the whole event is hosted by the Sarasota Community Foundation. We will receive a donation link that lasts only 24 hours from noon to noon through which eligible donations can be made. We will be sharing that link like crazy on our facebook page. Early pledges may also be made by phone at any time before the challenge. Simply call our trusted board member Stephanie at (941) 962-4090 to make your pledge. The theme this year is 'Be The One', which we totally love. The whole point is that anyone can be the one to make a difference. It doesn't matter if you're dropping a $100 donation or a $25 donation this year, whether you can bring a foster dog into your home or just hold a leash for 5 minutes, you are making a difference. We're not a big organization, we just have big hearts. We know the names of everyone who comments on our Facebook posts and supports us through PayPal and our YouCaring fundraisers. You mean so much to us and we love that you believe in what we're doing here. We are thrilled that Manatee County Animal Services agreed to partner with us for the "Best Business Partnership Challenge" this year, and we expect great adoption success for the animals in our county shetler from our joint Clear the Shelter 2-day Event this Friday and Saturday. We sure hope you'll come out and see us! We are also promoting our UnforgettaBULL campaign, through which we hope to bring light to the dogs who are overlooked at the shelter and are in danger of being forgotten or falling through the cracks. This often means seniors, pit bulls, dogs in need of medical care or behavioral rehab, or simply unlucky pups who run out of time. Our millennial design team also came up with some new t-shirts. So, we hope we've earned your support this year. If we didn't, we can promise you we are constantly learning how to better our organization and grow larger and stronger as a team. Last year, the results from the Giving Challenge were astounding and your support allowed us to build new kennels for every dog in our rescue during our move to the new location. We were also able to double the kennel space for some of our larger dogs and build raised beds for every kennel. We're so proud of how far we've come, and we hope you will stick around to see our progress for next year! If you'd like to make a donation to Forget-Me-Not for the Giving Challenge but you're so excited that you just can't wait, give us a call at (941) 962-4090 to make your pledge now. Donations between $25 and $100 are eligible for the matching opportunities. Otherwise, we will be sent a donation link on September 20th that will last for just 24 hours. Through this link, our supporters will be able to make donations eligible for double & triple matching. We'll be sending out an email with that link and also sharing it on our Facebook page during the challenge on September 20th and 21st. Click here to view a video that tells you all about us in a 24-second nutshell. We are dedicated to saving those who have been forgotten or overlooked in over-crowded high-kill shelters. We save the sick, the old, the misfits, and the blocky-headed. Copyright Forget-Me-Not, Inc 2016. Simple theme. Powered by Blogger.